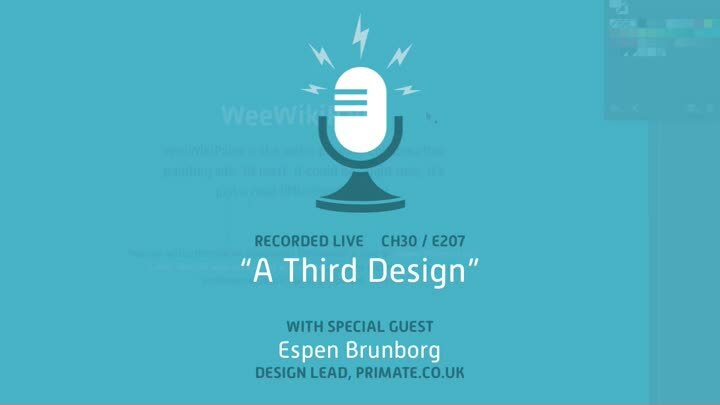 We continue exploring design options with our guest, Espen Brunborg of Primate. Our need to start with a non-responsive design spawned a splash screen-based approach. Although neither of us like splash screens, we chew on it for a bit, then branch into a third design. We’re starting to get a good collection of options.